Accessibility, draw speed, and safety are some of the most important aspects of a quality gun holster. Many gun owners are becoming familiar with magnetic holsters, which provide a very quick draw and convenient use. Having the right holster for your gun can make you feel safe without having everyone see your weapon. Today we will be looking at the top six best magnetic holsters to buy this year, and what key traits each one has. 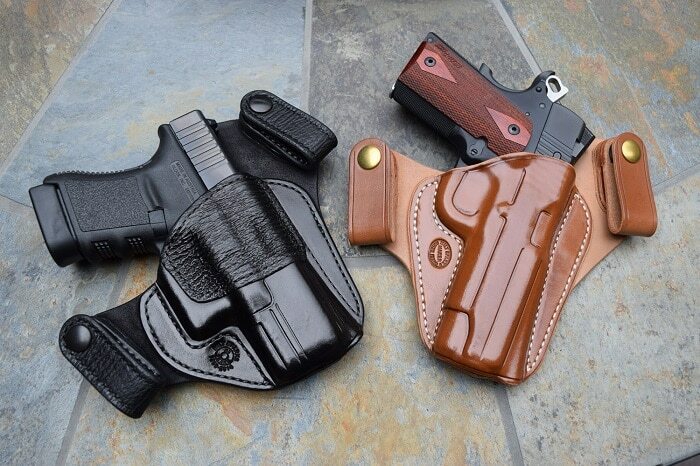 After learning about the best options on the market, you should feel more comfortable about finding the right magnetic holster for you today. Keeping your weapon secure in your holster is essential to keep you safe at all times. Even with a wide belt, the Rutger LCP can conceal your weapon easily. 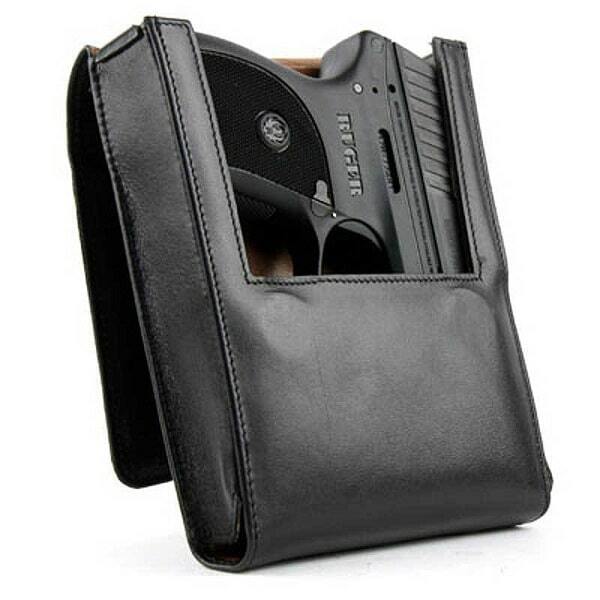 Unlike standard holsters, it is designed in a rectangular shape, in order to fit the entire weapon in the pouch. The material is composed of leather for durability and quality. Rutger manufactures weapon specific holsters, so it is also possible to design a holster for your personal firearm. 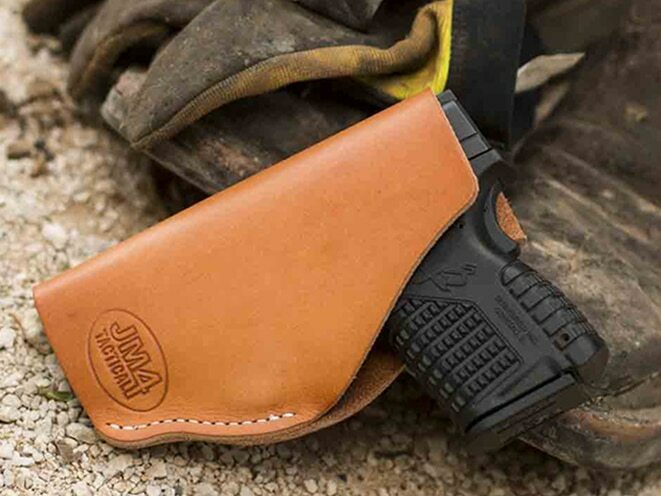 The seams are double stitched and bound around steel rivets to ensure this holster will last you for the long run. The only way your gun will not be compatible with the Ruger LCP holster is if you have a pinky extender. 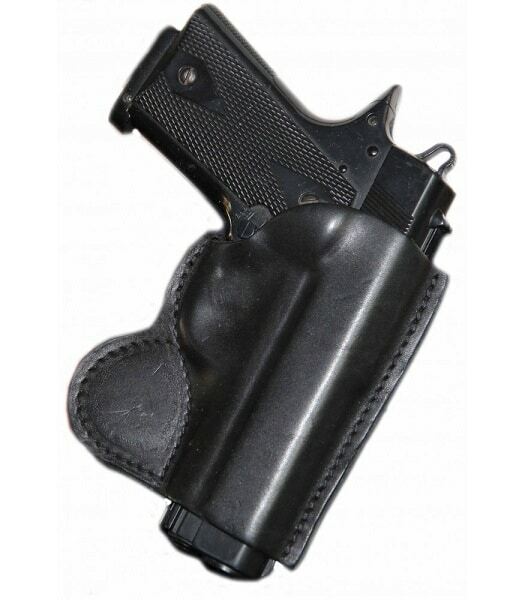 One of the most comfortable magnetic holster options on the market is the JM4 Tactical. The holster is designed to seem like it is not even on your waist. Customers have said you can wear the holster for hours without feeling it. Its composition is two layers of Grade A vegetable-tanned leather manufactured to keep your gun’s exterior in pristine shape while firmly grasping it. Deep concealment makes sure your weapon is hidden. If you are looking for a holster will hold to your belt no matter what, the Shamrock holster has powerful magnets that are designed to last for 100 years. Regardless of your shooting hand, there are left and right-handed options for this holster so there is no need to worry. The exterior is made of cowhide leather to prevent damage to your weapon. Just when you thought all holsters looked the same, a new product will change your mind. The Double Alpha Race holster is much slimmer than traditional options and is more of a connector than a case. Unlike other holsters, its slide lock uses magnets to hold the gun and retract it when drawing. The Double Alpha Race Option 4 is designed for the fastest draw possible while preventing damage to your gun. The no-catch design prevents any parts of your weapon from getting caught in the magnetic holster, to ensure your draw is clean. When your gun is fully holstered, you will hear a clicking sound to let you know your weapon is secure. A self-closing clip can make putting on your holster easier than you would expect. Along with convenience, the Milt Sparks Nexus magnetic holster’s self-clipping abilities ensure that your weapon will not fall off your waist. The material is made of a single layer horsehide leather. The winged magnet clasps allow for a variety of weapon sizes. 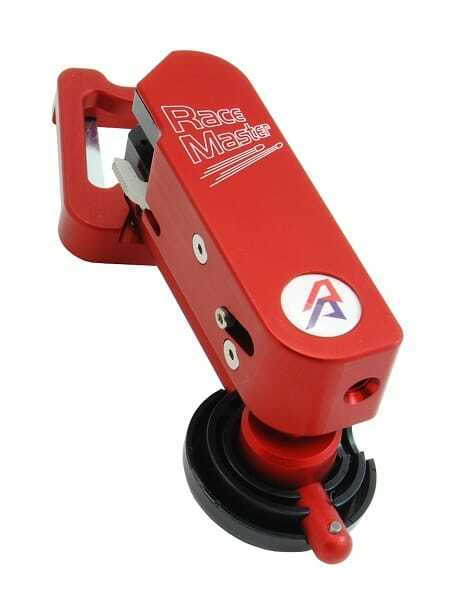 Sometimes it is necessary to have a quick-access weapon hidden in case of emergency. Hiding it in a cabinet can be a bit too slow, but you don’t want to drill holes in your furniture to store your weapon. That’s where the Keeper MG comes into play. 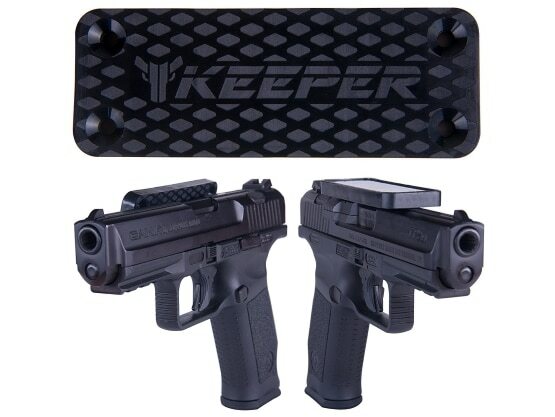 You can simply stick the magnetic holster to any surface using the adhesive and set your gun on it. This could help you save your money and time due to the ease of use and installation of the Keeper MG product. Educating yourself about the most highly rated products on the market will make your buying experience much less stressful. Knowing which magnetic holsters are the most quality can get provide you with dependable protection sooner than you expected. By examining the best magnetic holsters to buy this year, you will now be able to determine which product suits your carrying needs. Hey Buddy!, I found this information for you: "6 Best Magnetic Holsters to Buy in 2018". Here is the website link: https://thegunrights.com/best-magnetic-holster/. Thank you.